The rustic decor offers a mixture of homespun craft and elegant practicality, creating a comfortable, lived-in look for your home or office space. A touch of simple elegance works in contemporary, transitional, traditional and industrial spaces as well as in farmhouses and cabins. You can bring this vintage vibe into your space with any of these rustic lighting ideas. Lighting is more than mere illumination because it sets the mood and ambiance of a space. In addition to the light it gives off, the look and style of the lighting fixture play a key role in how people perceive a room. 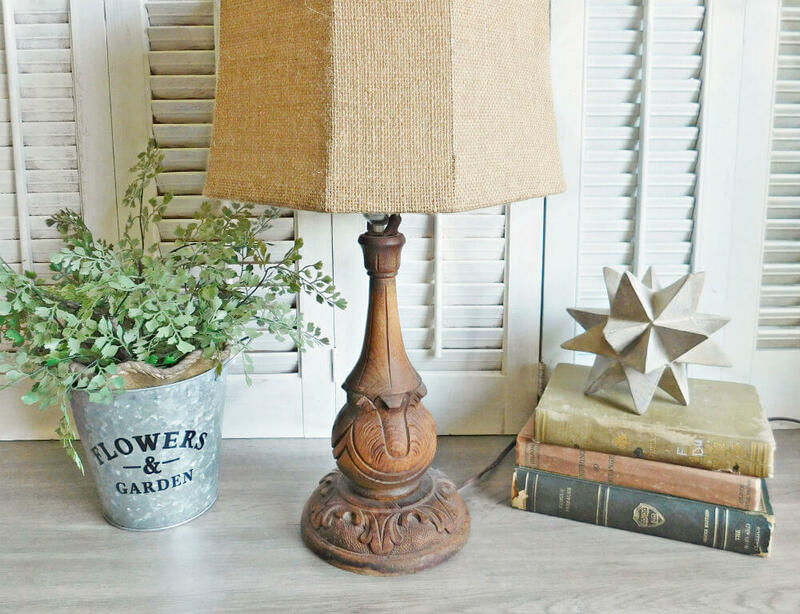 Setting a vintage floor lamp in a farmhouse parlor only strengthens the room’s homey quality. On the other hand, setting the same lamp in a contemporary space makes it a notable focal point. The beauty of these rustic lighting ideas is that they work well in almost any decor. 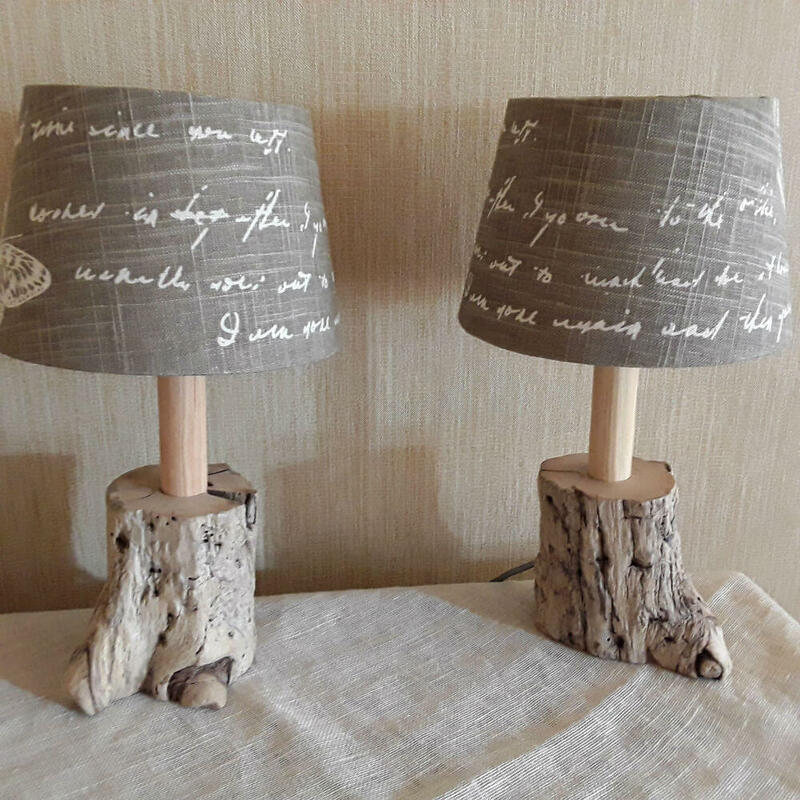 Distressed wood, black metal, mason jars and natural bamboo are just a few of the materials you will see in this collection of rustic lighting ideas. Each piece is uniquely elegant while remaining eminently practical. Each offers inspiration on how to incorporate it into your home or office. Handmade to your specifications, this rustic chandelier makes a unique statement. The wood base of the light fixture appears to float in mid-air due to the hidden hanging system. Ten (10) bulbs hang down at varying heights, offering both depth and eye appeal. Wanting to add a bit of rustic to your home or office? This hanging lamp is a perfect choice. 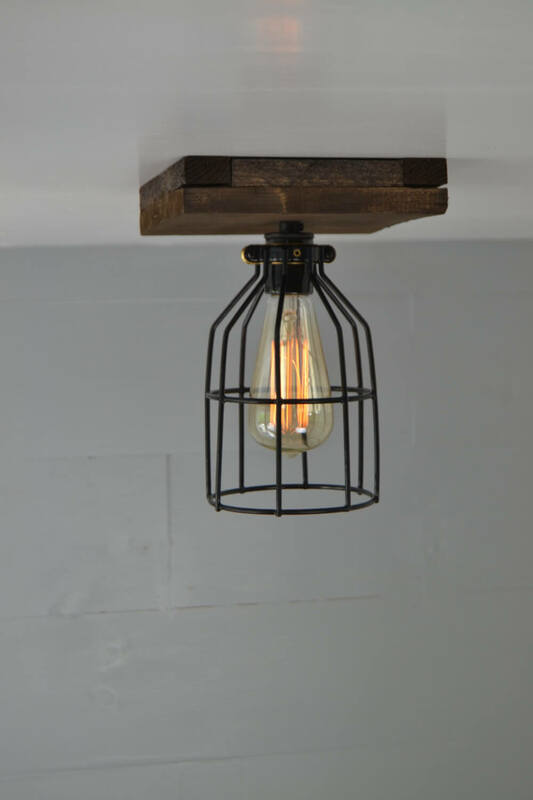 Made from two Edison bulbs hanging from a black barn pulley, this light fixture offers a functional, stylish design perfect for any industrial or rustic space. You can adjust both lights for perfect illumination. Carving brings a beauty unlike anything else. This 21 3/4″ lamp base is the perfect example. Made from solid wood, this base offers a warm brown patina with darker accents in the deepest carvings. It includes a weathered brass harp and minor age scratches in the vintage wood surface. No one ever said a hanging light had to come straight down from its base. Multiple pendants branch out from a common base, ready to wrap around a handy pipe or beam. You choose colors and finishes, as well as pendant length, for a look completely custom to your space. You can also order a pipe with the pendants for a completely ready-to-install system. Wagon wheels harken back to a more primitive time when horses provided locomotion. 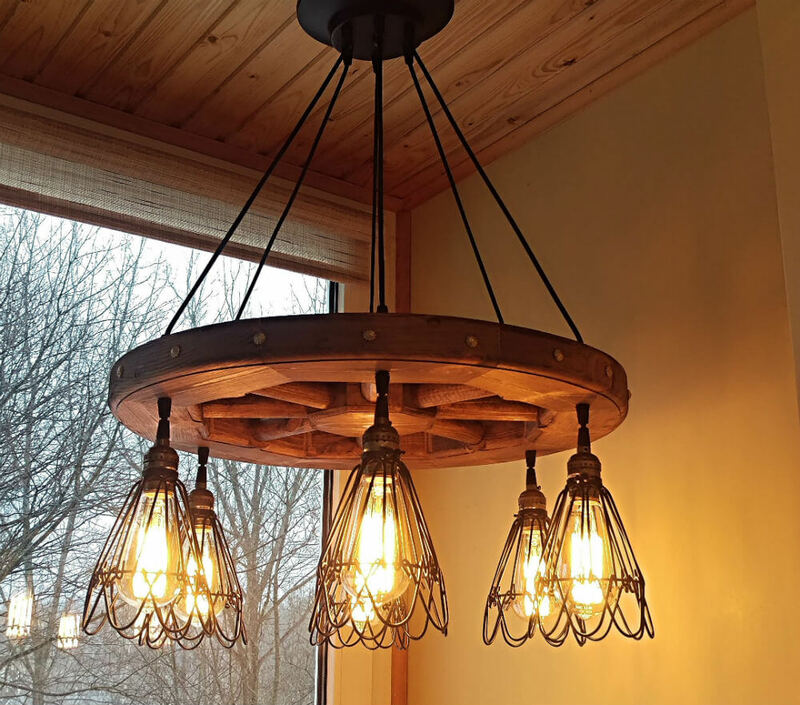 This rustic chandelier offers a 23″ wheel with six lights, perfect for the dining room or covered patio. 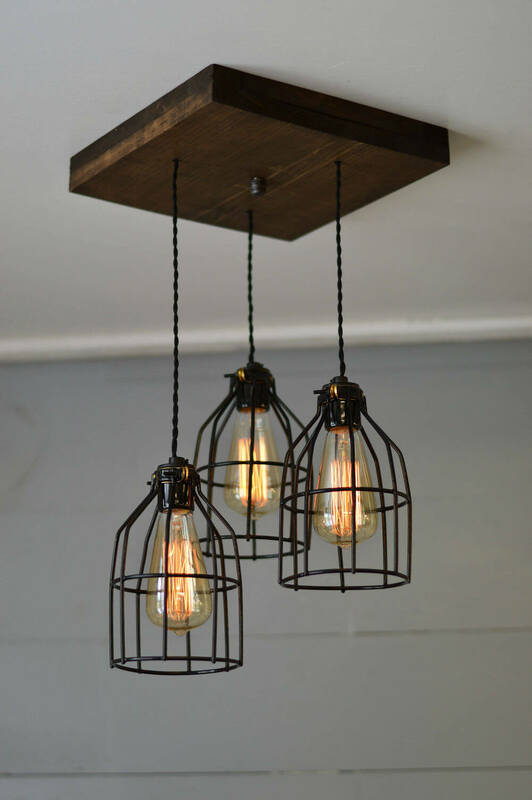 Intricate metal cages protect the light bulbs, adding a touch of rough elegance to the fixture. A length of Manila rope encloses the electrical cord in this rustic pendant fixture. This rough texture gives it the natural feel that works well in rustic, industrial and primitive designs. The clear hand-blown shade offers the finishing touch on this Snow pendant. The plain woven, coarse texture of natural burlap brings a vintage touch to a simple drum shade. This 13″ diameter shade fits perfectly into small spaces but can be combined with other shades for a larger illumination need. It’s the perfect homespun addition. 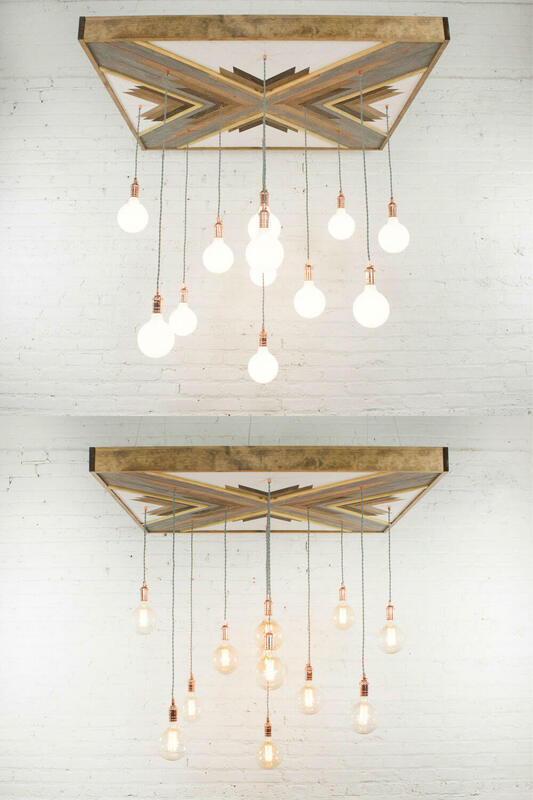 Bring an artistic touch to your ceiling with this geometric wood chandelier made from reclaimed lumber. Available in multiple sizes, this chandelier includes up to 12 customized pendants suspended below a spectacular geometric pattern made from different shades and shapes of wood. Say goodbye to plastic and glass pendants. 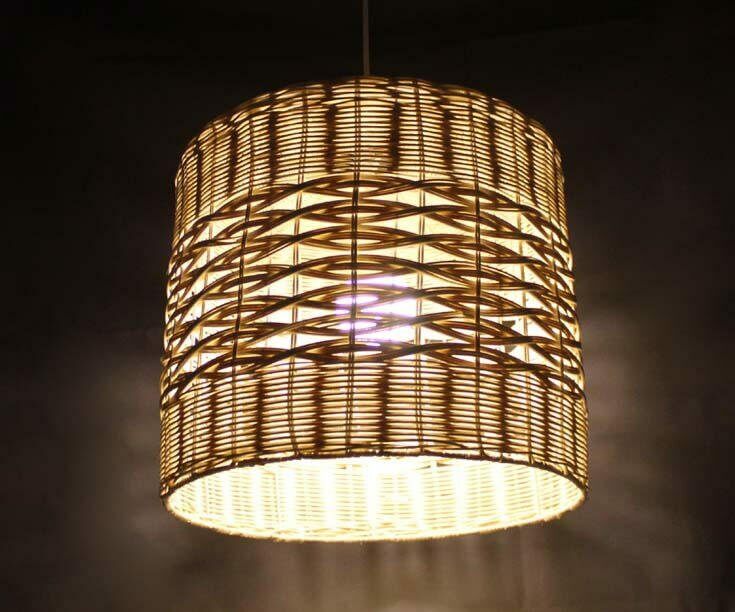 Say hello to this 20″ diameter natural rattan pendant that brings a simple elegance to any space. The warm light it casts makes it the perfect choice for entertaining at home or at work. The light peaking out of the side offers soft lighting, while the light below remains strong and direct. 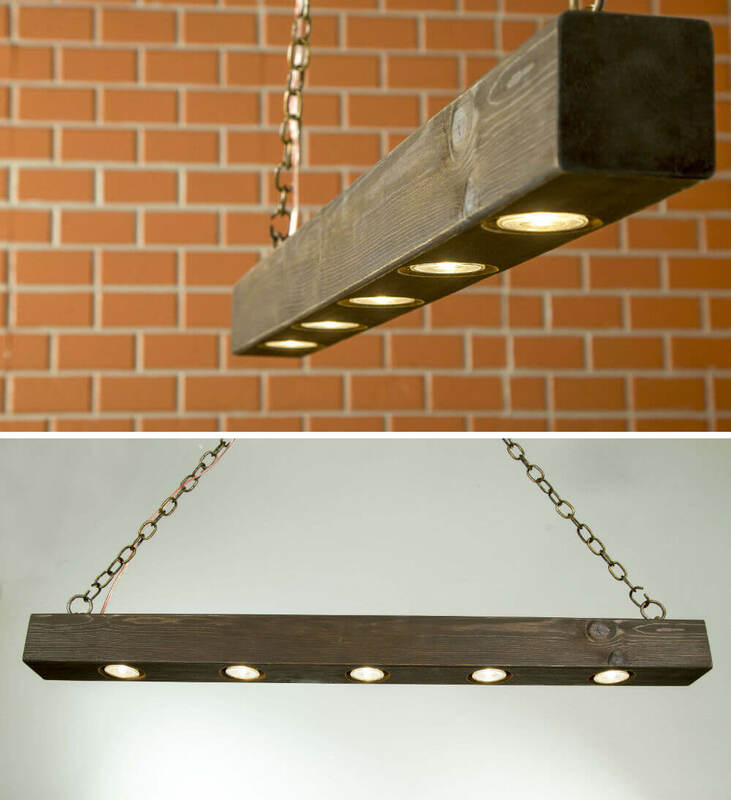 A simple hand distressed wooden beam suspended from the ceiling by chains sheds a warm light on any surface below. Just under 40 inches long, this beaming light offers a rough, industrial feel that shows the hand craftsmanship that went into its construction. 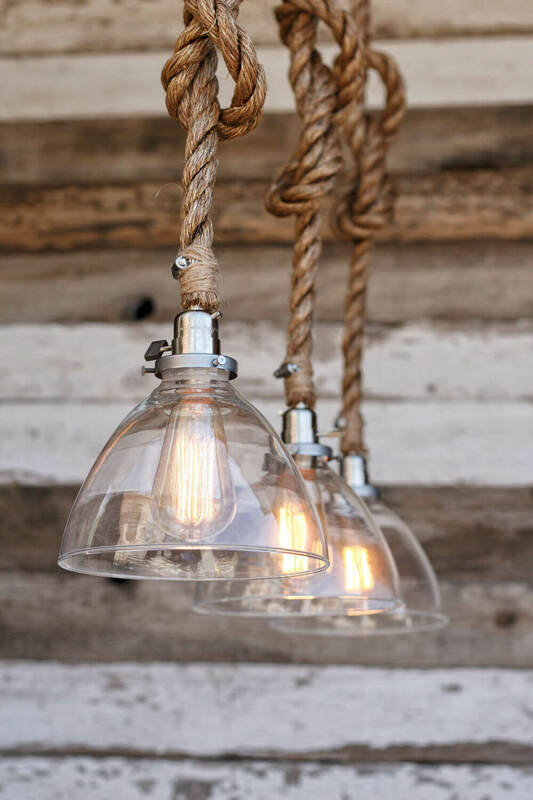 This is amongst the simplest and most elegant of rustic lighting ideas. Take four mason jars. Add Edison bulbs and lighting cords. Hang everything from a common base and you get an elegant chandelier with a distinct homespun touch. This lighting fixture, which drops just over 59 inches from the ceiling, works well in any decor, including contemporary or rustic. Driftwood obtains a soft grey patina from the action of the waves and the bleaching effects of the sun. This beautiful wood is perfect as the base of this simply elegant table lamp, measuring 14 inches in height. A grey linen lampshade completes the look of this lighting masterpiece. One of the most attractive features of natural bamboo is its warm brown color. 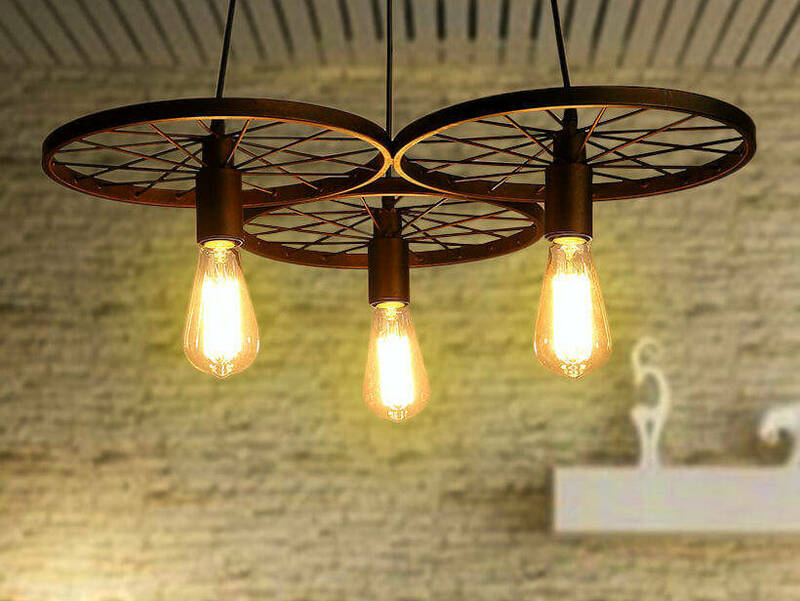 It is the perfect material and color to grace this U-shaped pendant lamp, which measures 17.7 inches in diameter and measures 23.6 inches in height. 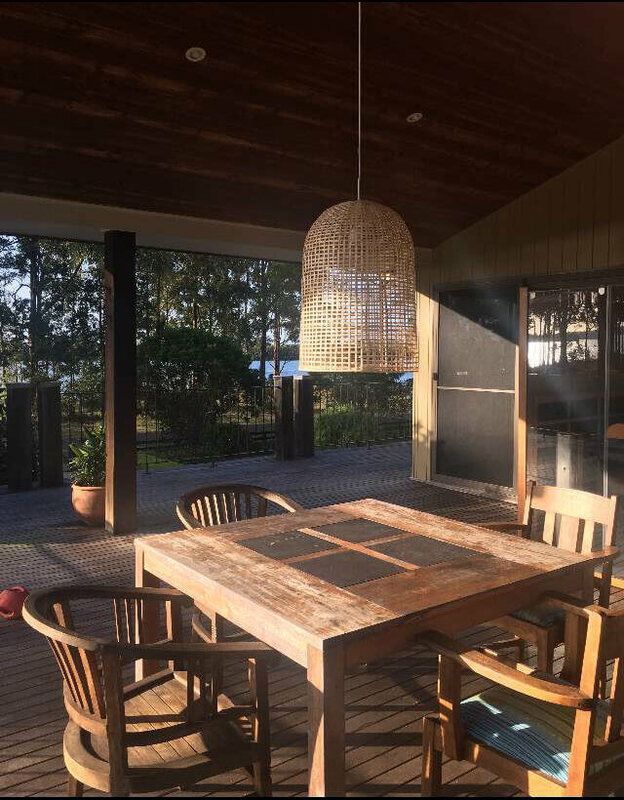 Complete with hanging cable and canopy, this pendant works well in almost any space. 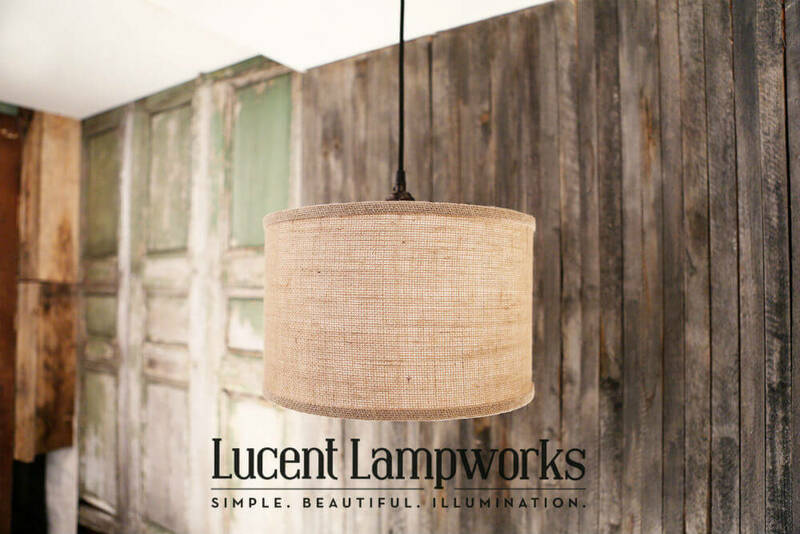 Distressed wood provides a warm base for this elegant 3-light pendant. Each piece of wood is stained and has its own look. Three pendants hang down in a circle, each offering a high-quality ceramic base and black metal cages for a simply elegant look. The pendants are adjustable so you can use this fixture just about anywhere. Bamboo is often known for its tough exterior. However, it also had a fine internal layer that is more pliable and perfect for making this delicate woven fixture. Standing just under 16″ in height, this black, rustic lamp offers functional elegance in a muted shade of black. 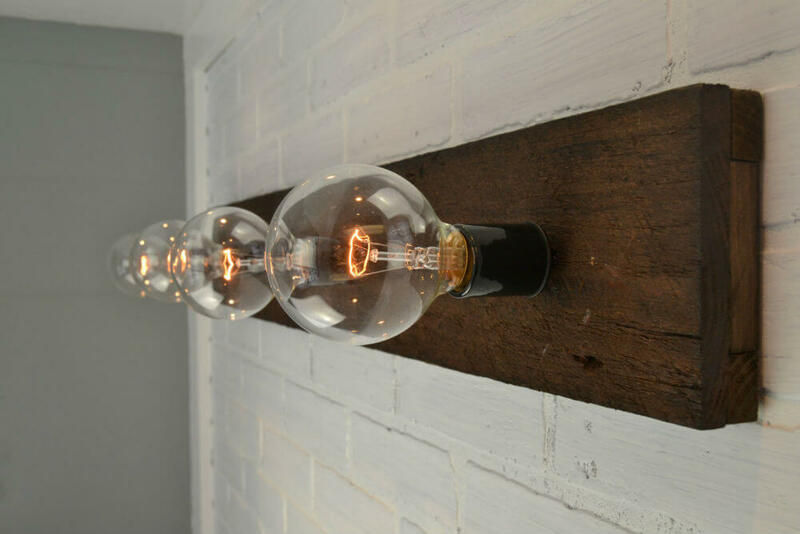 Fence pickets aren’t the first thing you think of when considering rustic lighting ideas. But, put two together and stain them a rich color, add some sockets and you have a perfectly beautiful 35″ long vanity light. Add vintage bulbs to it and the primitive look is complete. 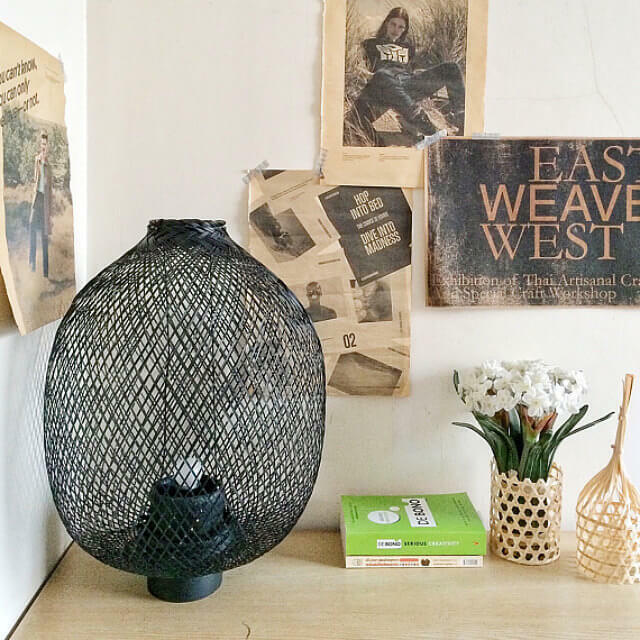 Handwoven rattan offers a primitive, yet elegant look to this hanging lamp. Just under 16″ in diameter, this pendant hangs down 40 inches from its oak wood canopy. Handcrafted with two different weaves, this fixture adds charm to any home, office or restaurant space. 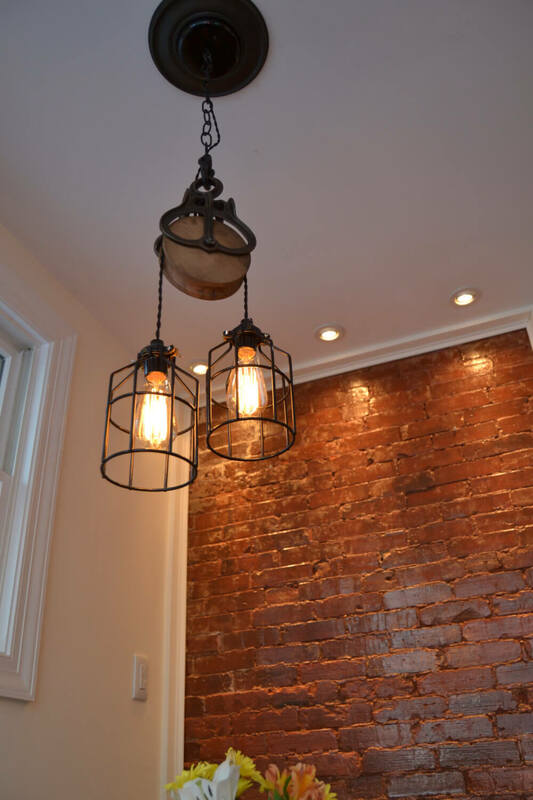 Iron’s rough texture and hardness make it a perfect material for rustic lighting ideas. Made from three 12″ black wheels, this elegant hanging light is the perfect choice for a vintage or industrial space. It hangs 48 inches, making it perfect for high ceiling spaces or over a bar. Lighting needs come in all sizes. Sometimes, you need a single light to light up a small space. 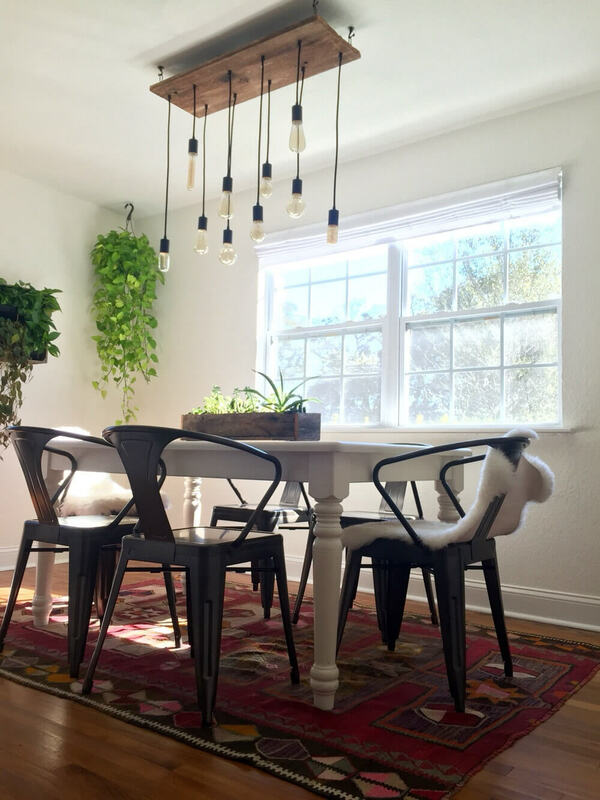 This Single Pendant is perfect for just such a space. Measuring 10 inches tall and 7 inches square, this fixture comes with a distressed wood base and black metal cage for the perfect industrial/rustic look. The first lamps to use Edison bulbs were designed to showcase the simple elegance of the bulb itself. 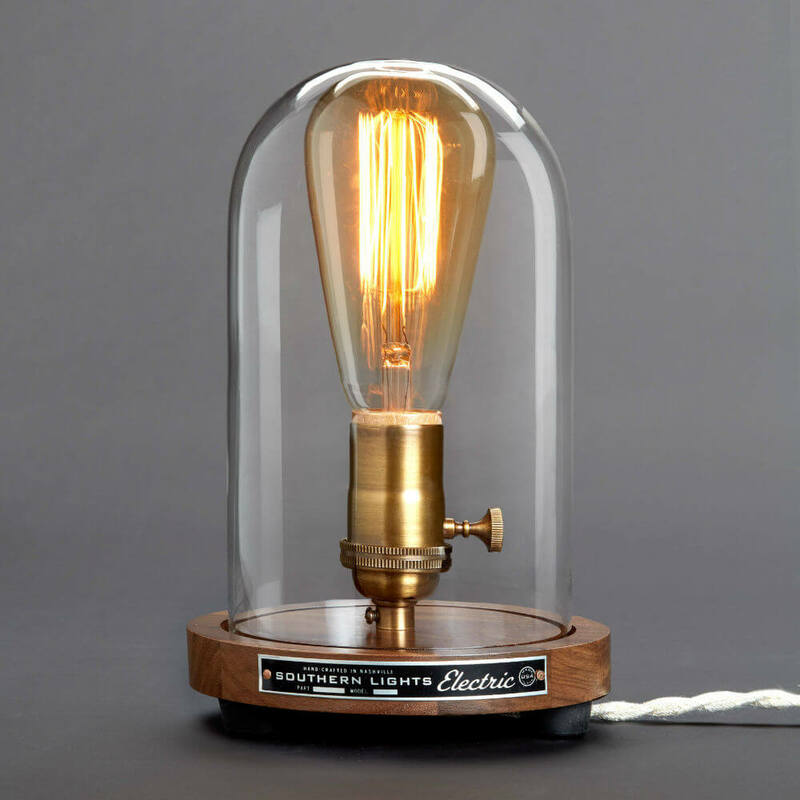 You can enjoy this beautiful design with this recreated Edison Bell Jar lamp. Made from hand blown glass and a wooden base, this fixture stands 5 inches wide and 8.5 inches tall, perfect for a table or dresser. 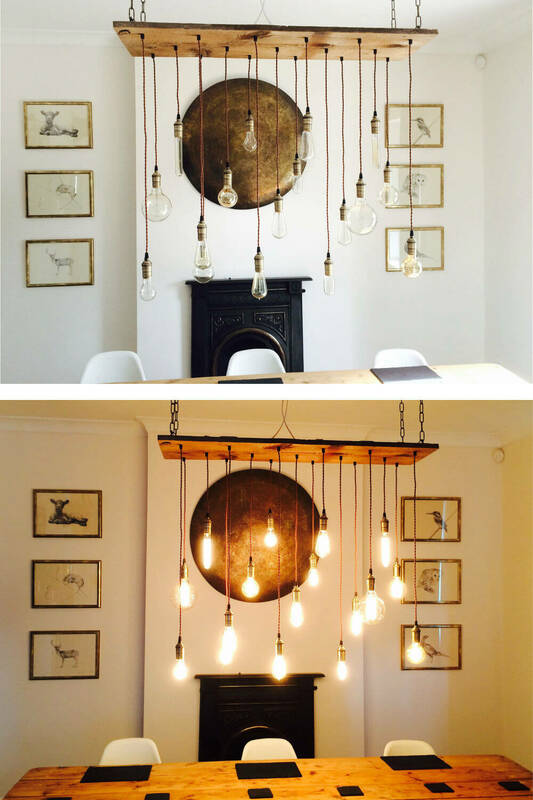 The more the better when it comes to the 17 lights on this rustic wood chandelier. 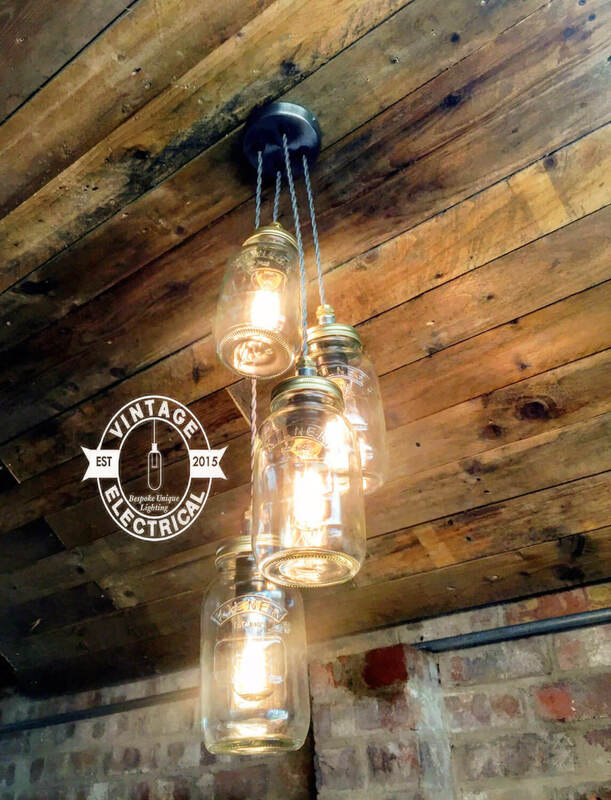 Each light hangs at varying heights from a reclaimed wood canopy, offering a primitive, industrial vibe. The wood canopy can hang as close as 2 inches from the ceiling or as long as needed, depending on your space. An old tractor funnel gets transformed into an illuminated work of art. 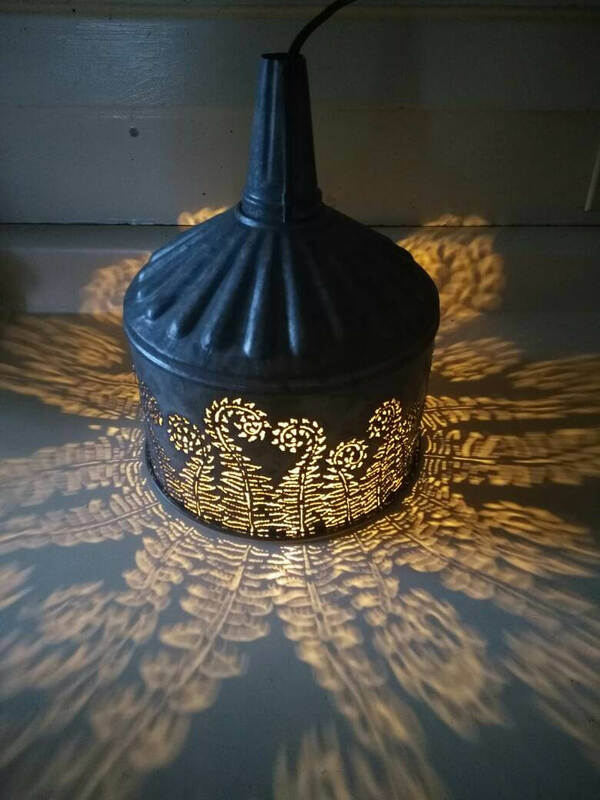 Each funnel features freestyle torch cuts around the outside, giving space for light to peak out creating a decorative pattern on surrounding surfaces. Measuring 12 inches tall, it can be set on a table or hung from the ceiling. 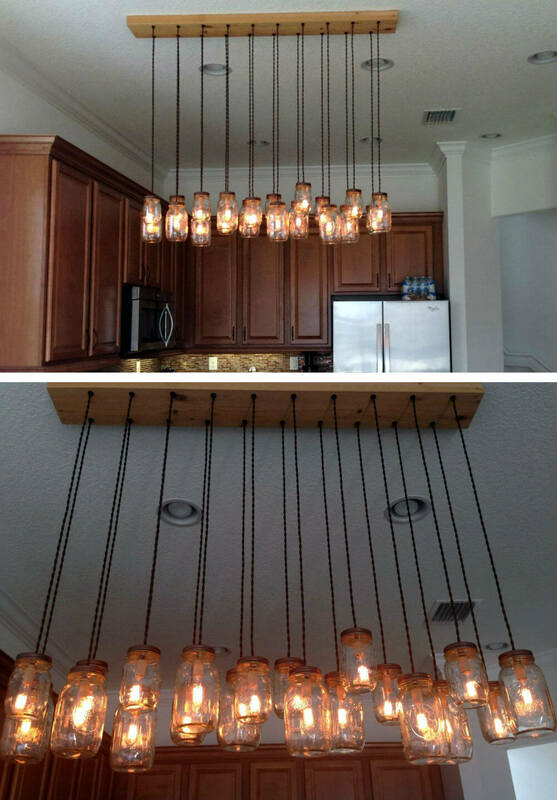 Mason jars offer a homespun elegance to this rustic lighting fixture. You can use this kit to create an 18 light chandelier that is 44 inches long by almost 6 inches wide. The handcrafted base is made from a piece of solid cedar and offers the option of ceiling mounting or hanging style. 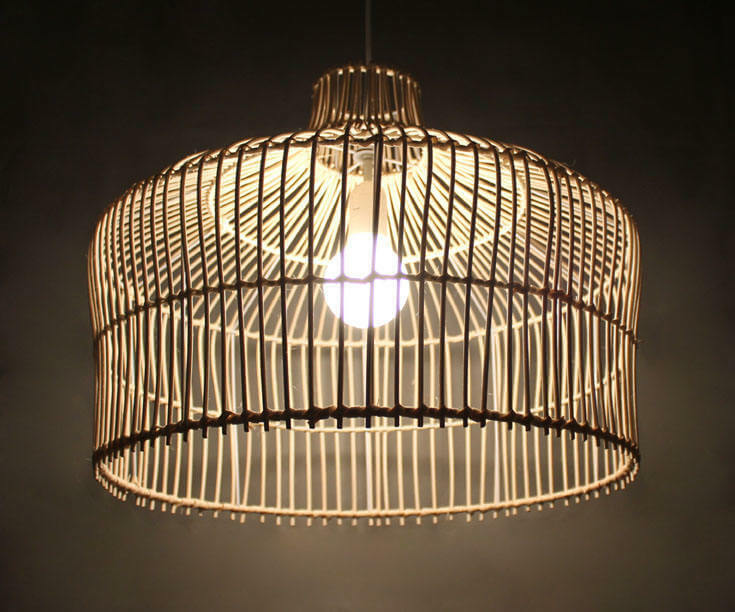 Intricate metal cages are still used today in industrial lighting. A century ago, these cages were both elegant and extremely functional. 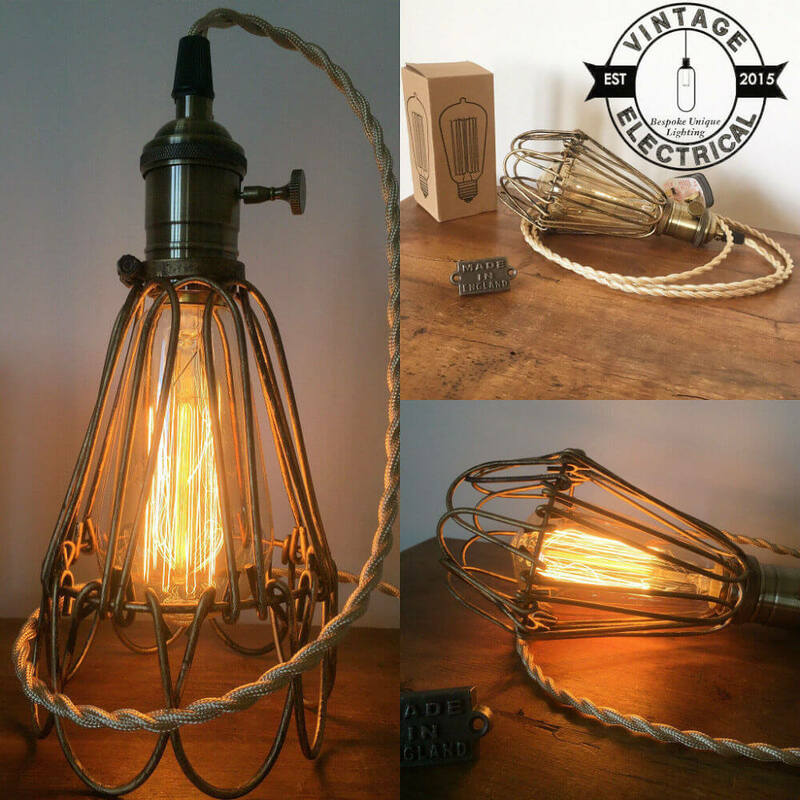 This Hemsby style cage light offers the beauty of this vintage look, complete with fabric covered cable and an Edison style light bulb. Unique, yet simple. That is one way to describe this unique chandelier. A reclaimed wood beam, stained in a dark walnut finish, offers the anchor point for five antique brass light sockets that dangle at varying heights. 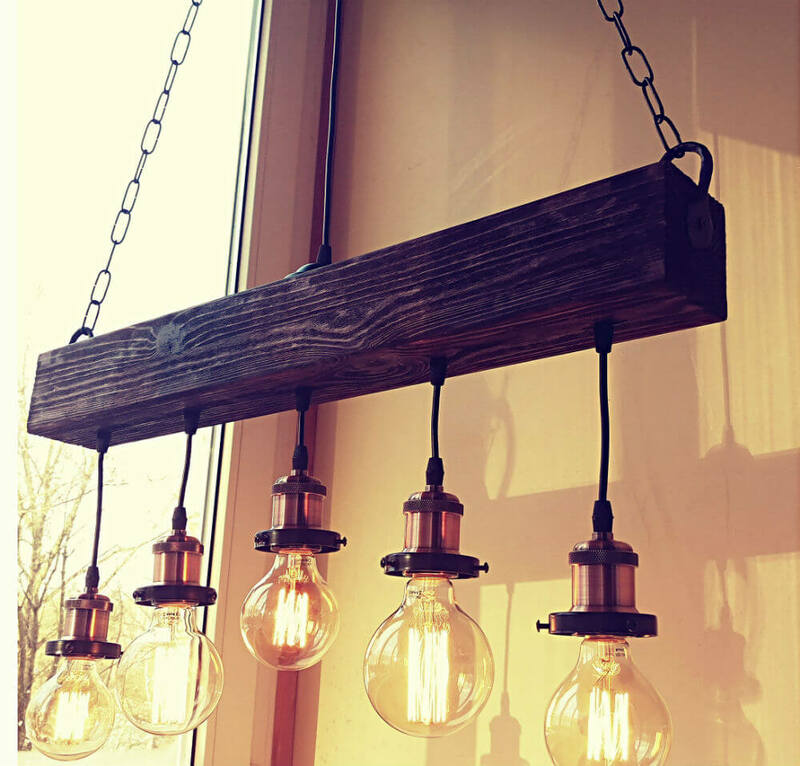 At 29 inches long, this fixture works well over a dining table, bar or kitchen island. Rustic, primitive, homespun, vintage. There are multiple ways to describe this wonderfully functional, yet elegant, decorating style. 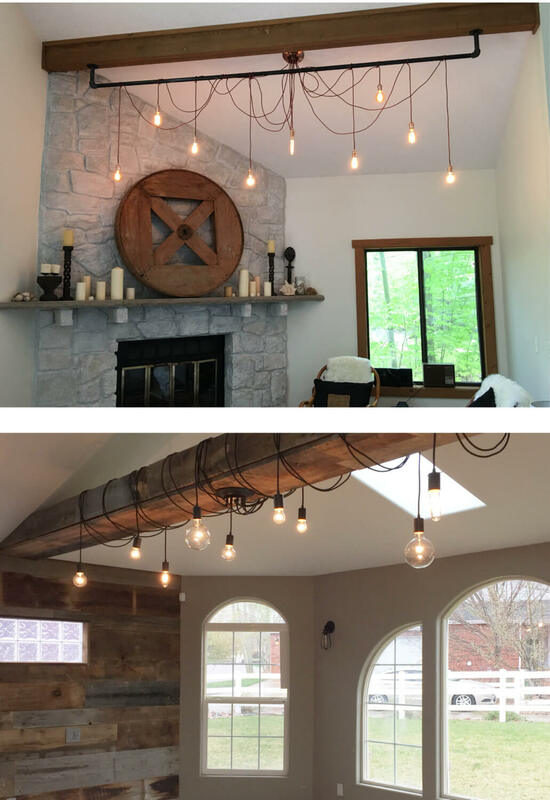 One sure way to make an impact on your space is to add a rustic light fixture on the ceiling, on a table, or on the floor. It makes an instant focal point and gives a signature touch in your home or office. These rustic lighting ideas range from simply elegant to functionally beautiful, with distressed surfaces, rough textures, and subtle colors, creating a look that works well in almost any decor. Use this set of inspirational rustic lighting ideas to start transforming your space.